My firm did its first acquisition/merger in 1993. It was a fast way to grow and to enter a new market. It worked for us and the firm did several more over the years. The firm also acquired non-traditional firms such as an employee benefits firm and a TPA company when it was very unusual to do so. Things have certainly evolved in the CPA firm M&A market since 1993. During our first merger, all we could think about was not losing clients of the acquired firm. We did not lose clients but we lost employees. We learned from that experience and for the next acquisition around 1996 and going forward, we focused on retaining talented people. It had become more important to retain people than clients. Daniel Hood of Accounting Today recently interviewed several CPA consultants who focus on M&A. There are major changes ahead for M&A. Valuations of firms are declining. It is becoming a buyer’s market. Acquirers are more selective and do not necessarily want more compliance clients. The cost of technology, going forward, is also an issue, especially for smaller firms. Be sure to read the interesting article. I know many of you are experiencing a succession dilemma. Every year, my good friend Roman Kepczyk does his review of the Top Techs and Innovations from the Consumer Electronics Show (CES) in Las Vegas. He focuses on what the various new technologies mean to those of you working in a CPA firm. I noticed a news article about a firm unveiling new offices in a new market. The firm, Lutz, offers accounting services including tax, bookkeeping, and business consulting to individuals and organizations in a variety of industries. The company was founded by Ralph Lutz in 1980 in Omaha as the CPA firm of Lutz, Kinsey, Friedman & Meyers. They also have offices in Grand Island, Lincoln, and Hastings, Nebraska. 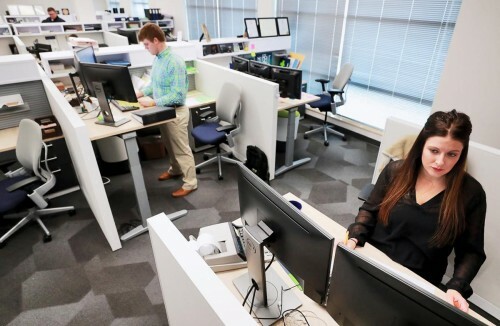 Check out the picture of two of their accountants utilizing the stand-up desk option. Are you offering the option to your team members yet? Thanks so much to Jessica Salerno of The Ohio Society of CPAs for interviewing me for one of the Society’s podcasts. As the accounting profession evolves, leadership has to evolve along with it. We spoke with Rita Keller, respected CPA firm management consultant and author of the daily blog “Solutions for CPA Firm Leaders,” on how leadership in accounting has changed over the years, the common leadership mistakes she’s seen, the one thing leaders aren’t doing enough and more. Click here to listen to the podcast. 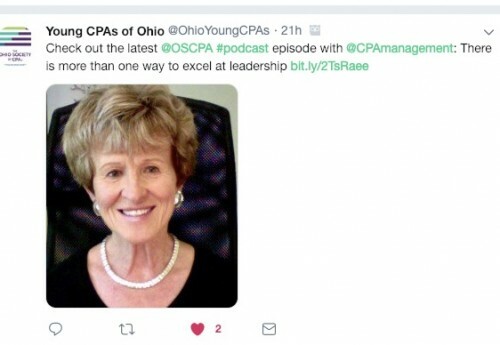 I also appreciate the Young CPAs of Ohio tweet! 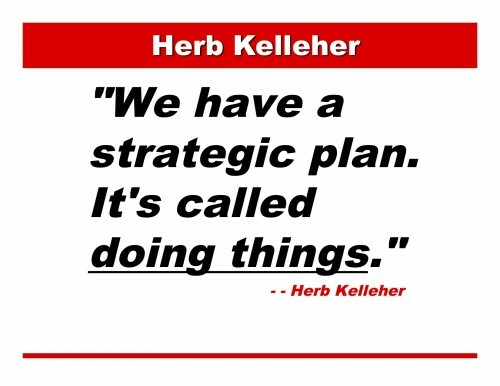 I was sorry to learn of Herb Kelleher’s passing. I have always admired his unique approach to being a company leader. That quote inspired me and many CPA firms to begin to focus more on keeping employees happy and engaged. If you ever attended one of my presentations, you probably saw a slide I used very often. To me, it said so much about the functioning of so many CPA firms. You see, I think CPAs often make things way too difficult, especially when it comes to managing their firms. They spend days talking about and drafting a strategic plan that gets distributed to staff and is never seen again. Here’s some advice from Herb. R.I.P. You don't hire for skills, you hire for attitude. You can always teach skills.